Siya Kolisi has been immensely impressed by the professionalism and maturity of Damian Willemse, who is set to make his Bok debut against Argentina on Saturday, writes CRAIG LEWIS in Durban. 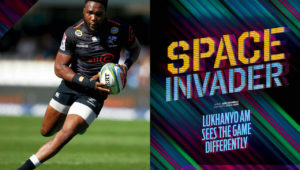 The Bok captain has had first-hand experience of Willemse’s rise to stardom at the Stormers, while the talented 20-year-old has now taken his first step up into a Test squad. There has been understandable fanfare around the potential that Willemse possesses, and at Thursday’s team announcement, Rassie Erasmus said he could certainly appreciate the ‘hype’. Such sentiments were echoed by Kolisi at Friday’s press conference at the team hotel in Umhlanga, with the Bok skipper admitting he was taken aback by the qualities Willemse displayed at such a young age. ‘Damian is so strong; he’s different to a lot of guys who have only just recently come out of school. I’ve been shocked at just how professional he is, and the way he communicates and motivates others in game situations. There is expected to be some rain around in Durban on Saturday, so it will be interesting to see how the Boks adapt to conditions that could be quite different to what they have experienced in training all week. 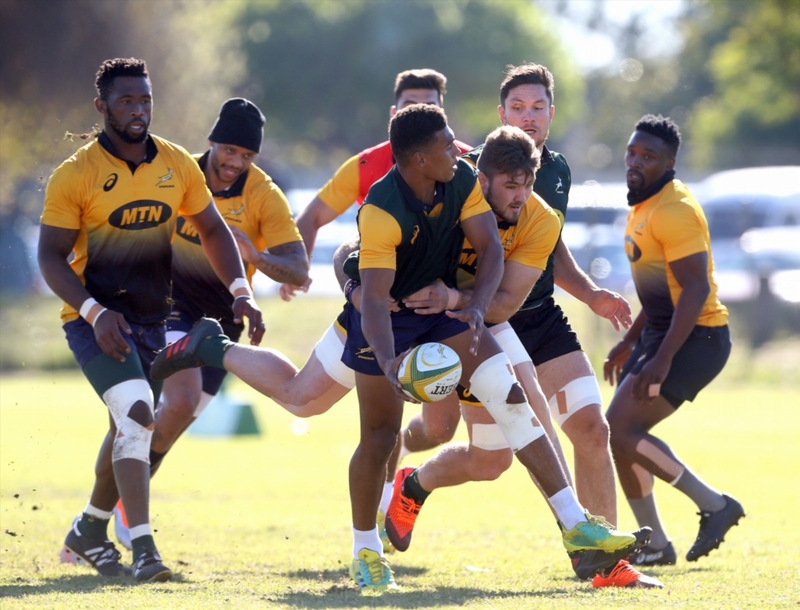 A relatively small crowd of 25 to 30,000 is expected to turn up at Kings Park, but Kolisi reiterated that there was simply an overwhelming sense of excitement in the Bok camp to head back into international action. ‘We really want to build on what we started in June, and to keep getting better and better as a team. Rassie has a long-term plan in place for this team, and it’s about hopefully winning and learning along the way. On a personal note, Kolisi said it was also his focus to ensure that his individual effort reflected what the team was hoping to achieve. 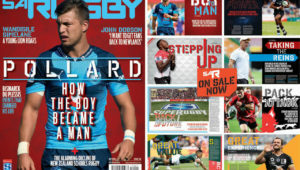 ‘It does feel a lot more relaxed and rugby focused now that I’ve had some time in the captaincy role, and I just want to be measured on my effort on the field. Over the past few weeks, I’ve had a good opportunity to get some pre-season training under my belt, and I’m feeling a lot stronger than I did in June or during Super Rugby.